I had the chance to stay in another great properties of Staysyok in Penang after previously staying in their boutique homestay, Spices. This time, I stayed in their hostel that is still located in Georgetown area, where it is strategically located in Chulia street where you can find lots of eating places, Subway, and even an Indian cinema! 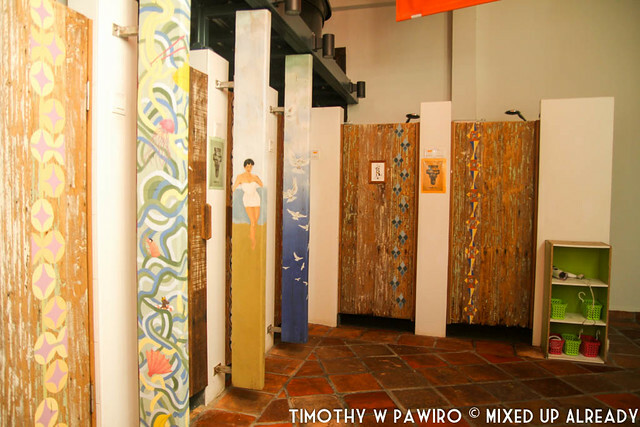 And similar to Spices; Syok is also occupied the heritage buildings. Why they can say the hostel ‘syok’ is because their hostel is as good as the name! From their reception area, I could see that this hostel is very catchy, unique, and good as well. It’s so vibrant that it can attract guests from various age, from young people like me and my friend, Aggy, and even I saw an older guy who stayed in this hostel too! Other thing that Syok standout is its cleanliness. Even though it’s a hostel, but they always pay attention to the cleanliness of each dorms, especially the bed sheet. 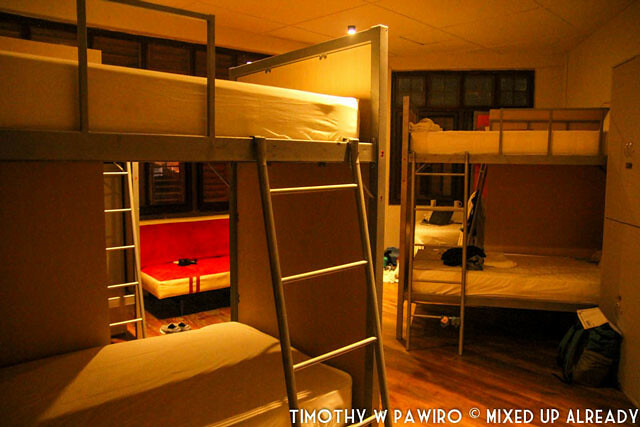 In Syok, you can choose to stay at mixed dorms or female dorms, and there’s also a double room if you want a privacy. There’s something unique that I saw before entering the dorm. Besides the street’s name that they used, they also put our name on that name plaque outside the dorm. The dorm itself contains around four bunk beds, where in each beds has their own electrical socket, and each guests will have personal locker inside the dorm. It also has free WiFi, so you can connect with the internet everywhere you go inside this hostel. I think what they need to add at each beds probably the personal light. Another good thing in Syok is that there’s air conditioner in each dorms. So after a long hot day in Penang, resting on a clean bed and cool dorm is something that I needed haha. At first, I thought hostel doesn’t serve breakfast, but apparently Syok provides simple breakfast that enough for me to start the day. The breakfast is served on the third floor where the dining room is also a common room with many bean bags and sofa. If you’re bored being indoor, Syok also provides tables and chairs outside the dining room, which is also an outdoor area. 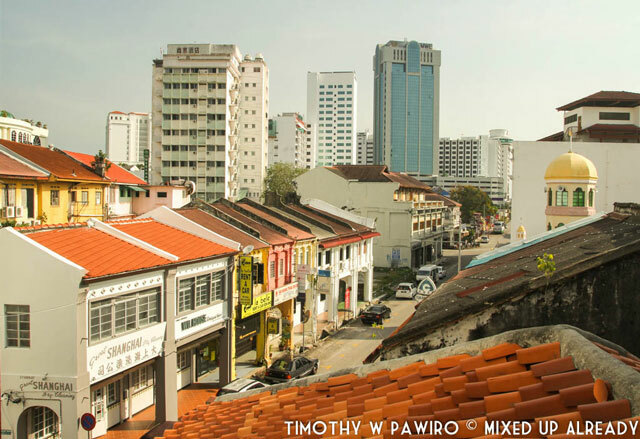 From here, you can also get the view of the city of Penang with its few skyscrapers. Overall, Syok at Chulia Hostel really gave me a positive memories, especially all the staffs are friendly and nice. They helped us with eating places recommendations, what bus number should we take, and many more. 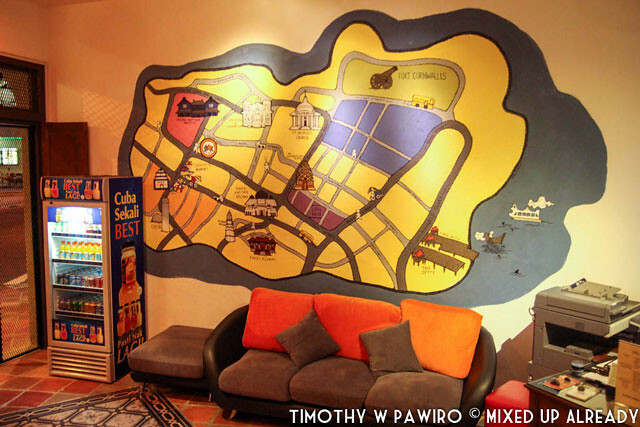 That’s why, Syok at Chulia Hostel is a recommended place to stay while you’re in Penang! I was a guest of Syok at Chulia, but all opinions are my own. Btw, is that a “before i die” list from all the guests? And the map, is that a painting or a sticker? A very syok place to stay! I want to go to Penang! You know what, I never stayed in a dorm! When I was in Penang, I had Subway for lunch just beside Syok hostel. Great review! The word “Syiok” is a S’pore lingo and now spread to M’sia! We came across this post, and it’s very informative. 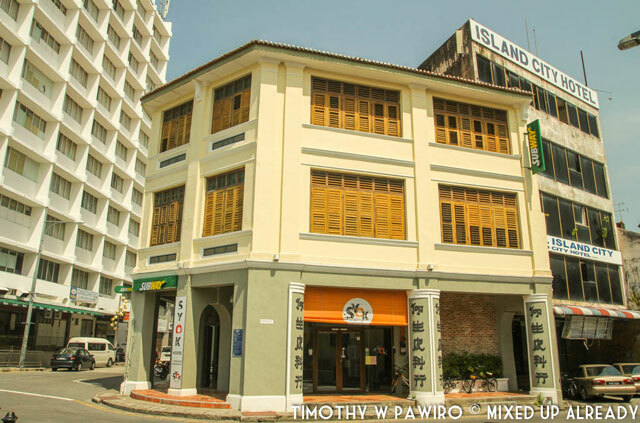 Chulia Court The Tavern, is one of the best adaptations of a heritage shop-house for a restaurant, music bar and boutique guesthouse in the heart of Unesco World Heritage City of Georgetown Penang. 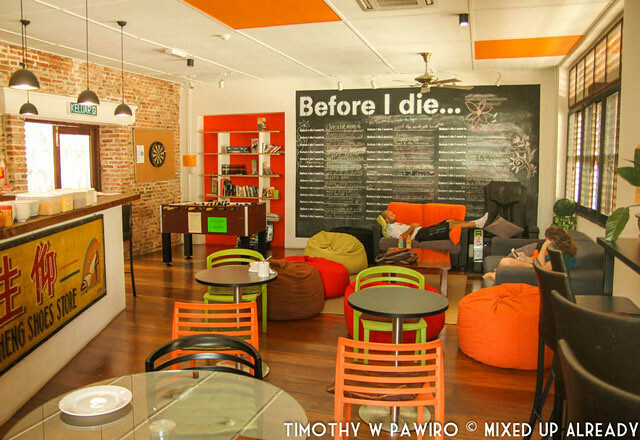 Please have a look at our website, and we would love to have you stay with us in your next visit to Penang. Would love to stay here next time! Just checked the photos, and love the interior! Will let u know once I have a plan to visit Penang.